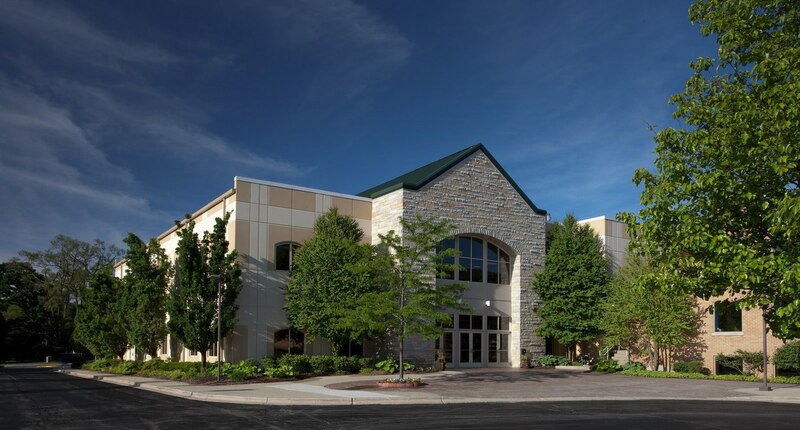 Parkview Community Church, nestled in the Western Chicago suburb of Glen Ellyn, is a large, growing church, especially known for its outstanding children’s ministry. 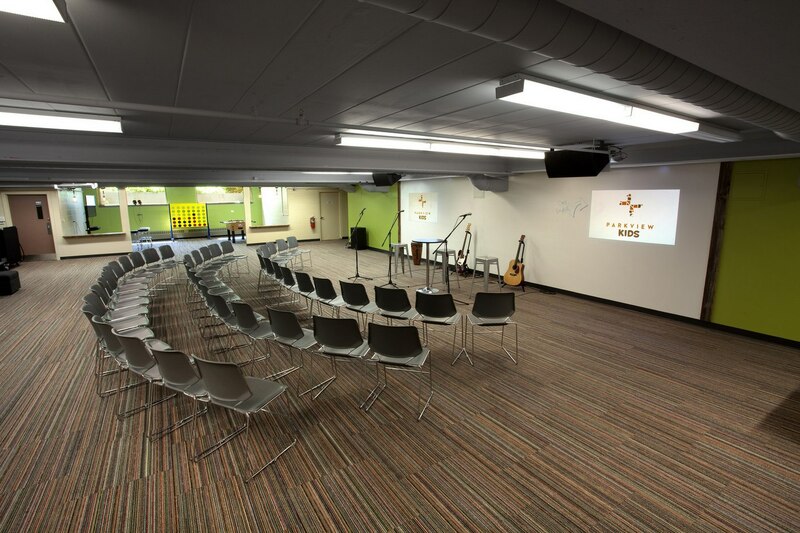 The original space was built in the 1950s, and like any typical, older church building, it had been added onto, rearranged, renovated, and slowly updated throughout the years. Their most recent update was completed around 2010. 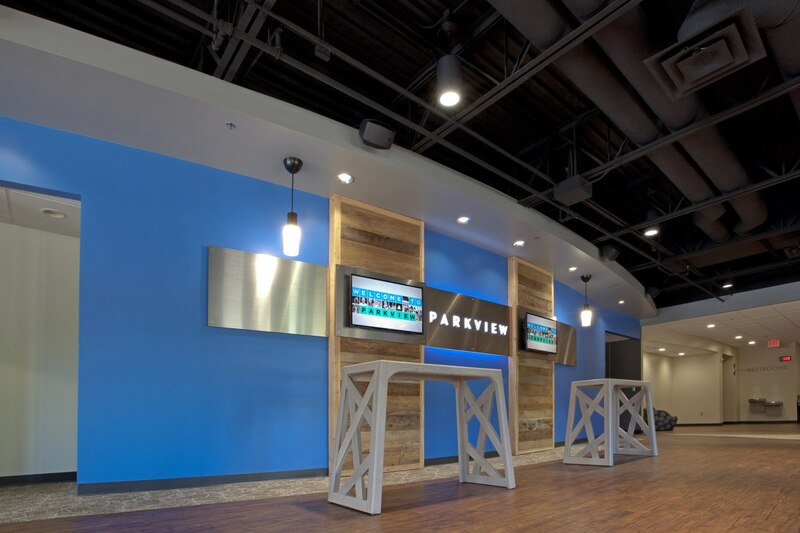 Unfortunately, this piecemeal approach created a severe disconnect between the facility’s look and functionality and the mission and vision of the church’s leadership team for Parkview. 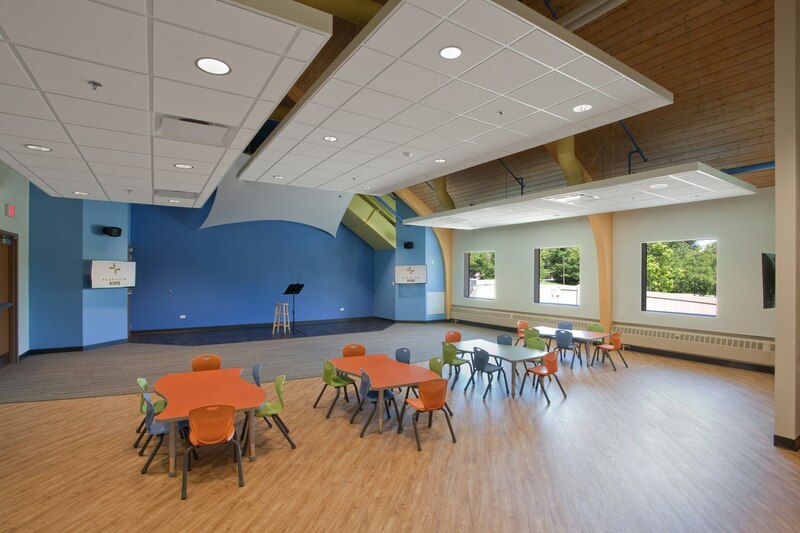 The disjointed lobby space, the well-worn children’s space, and the exterior image of the building didn’t tell the true story of the church’s heart to serve the people they were working so hard to reach. Because the church’s original building was a conglomeration of multiple building projects, there was no core theme holding all the parts together, each piece being added as it was needed. 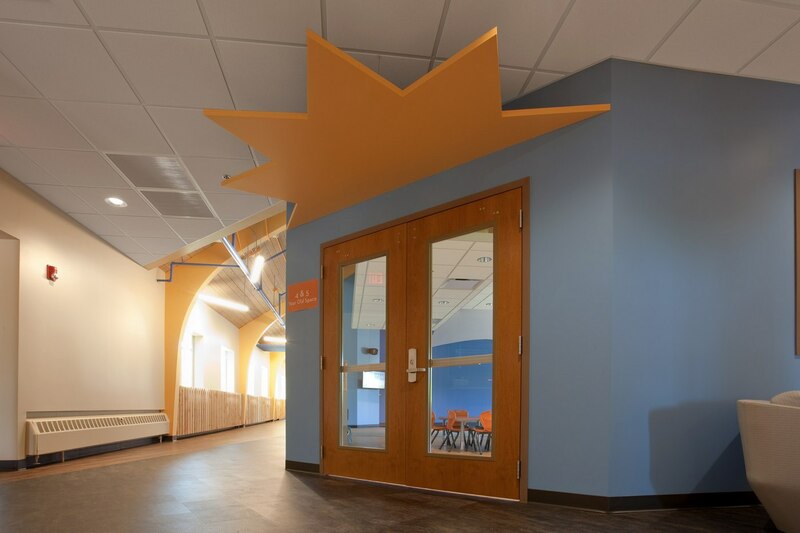 One of the most recent projects included the addition of a firewall and fire doors, which, unfortunately, split the building into separate areas. Additionally, the exterior was opaque, uninviting, and an intimidating building for a first-time visitor to enter. The building was completely out of step with the warm, loving, and welcoming church staff that waited behind its doors. What that staff desired was flow, security, and aesthetics to match their ministries and values. 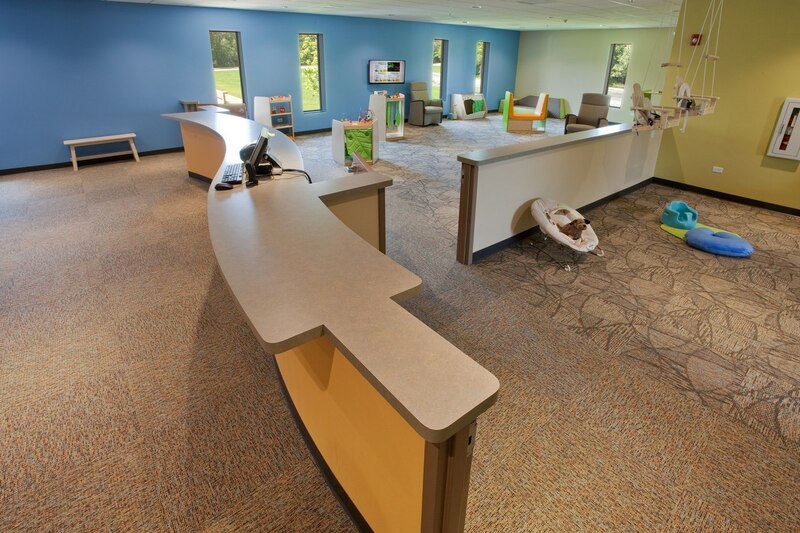 Aspen and Parkview came to an agreement on the scope of the project, and a budget was set to cover a complete renovation of the building aesthetics and HVAC system, a total update to the children’s ministry area, a refreshed lobby, and a volunteer rest area. 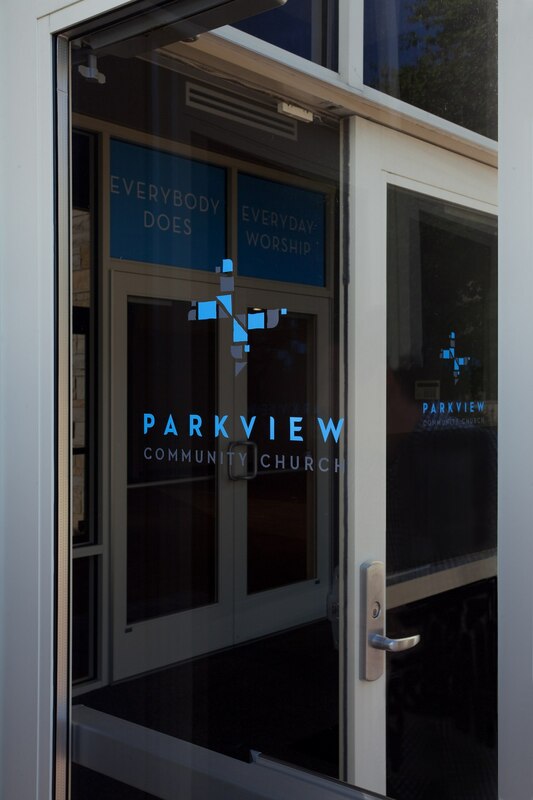 By rearranging elements that already existed, Parkview was able to go from a church whose exterior and interior image did not align with their mission to a church brimming with life, full of possibilities, and whose ministries align with their image. The first step toward increasing flow, security, and aesthetics was to add interior and exterior glass. With windows on the inside, guests now can see wherever they want to go in the building, helping make the interior much less maze-like. New windows on the exterior walls makes the building more appealing, approachable, and welcoming from the outside. 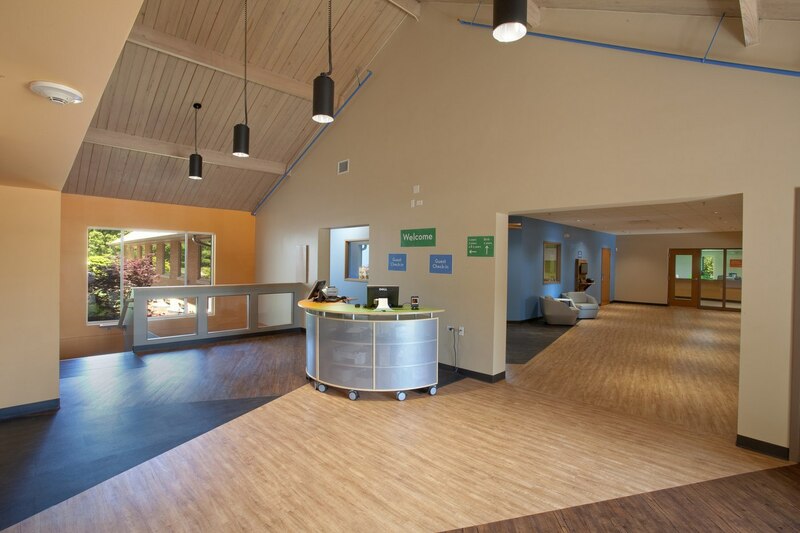 While Parkview desired a larger lobby space than what they had, they opted to rearrange, reorder, and restructure the lobby space they already had in order to stay within budget. 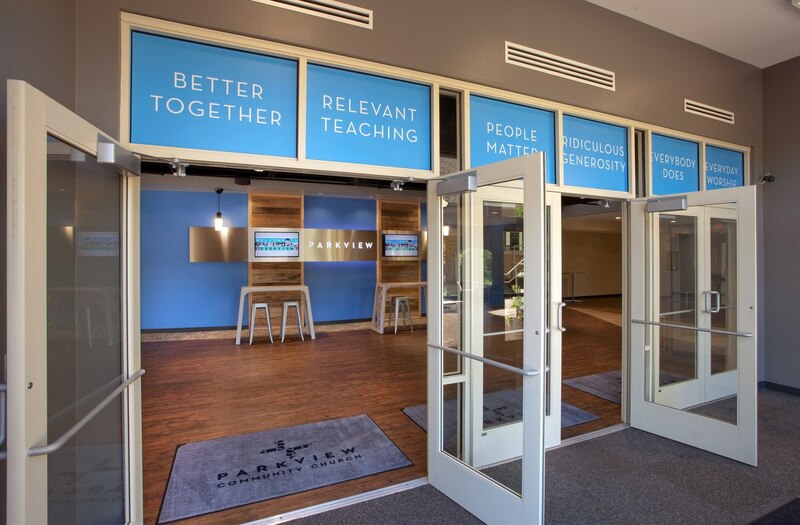 By simply rearranging the elements already being used by the church, the new lobby is now aligned with the mission, vision, and values of Parkview. 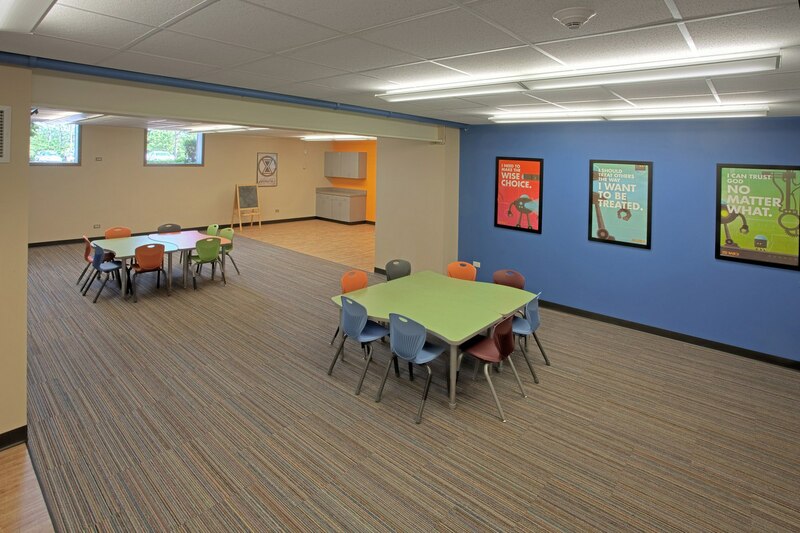 Each age group has its own classroom, like in most churches, however, the large group activity rooms and other learning areas are set up for collaborative learning, following today’s trend toward learning together. 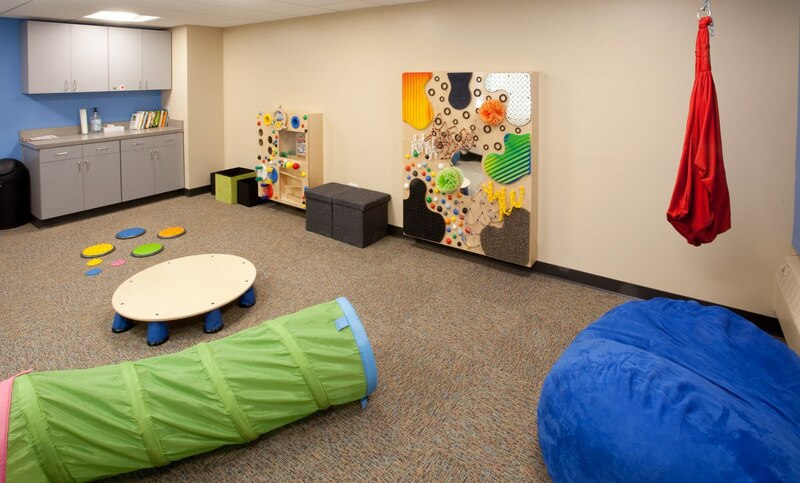 Parkview invested funds from their building project to create a space for a special needs ministry. Though they didn’t yet have a special needs ministry running, they saw it as a potential need and built the space to house the ministry for possible future endeavors. 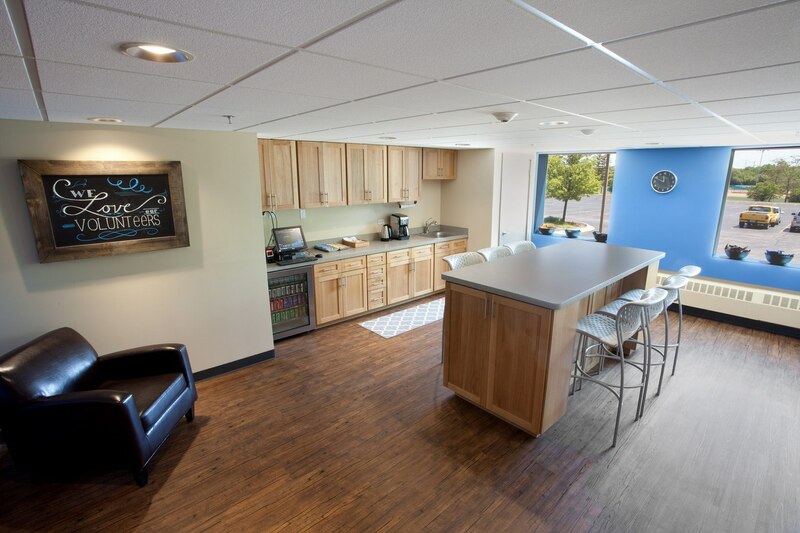 Another innovative addition to Parkview’s space is the Volunteer Room, specially designed as a respite space for volunteers. The room is a place for volunteers to lock up their belongings, sit and rest for a minute between responsibilities, or catch up with other volunteers. The high counter, chairs, and windows facing outside creates an oasis for harried volunteers who freely give their time, effort, and attention each week to help make the church run more smoothly.